Has "Passion" Lost Its Meaning? Sometimes, if you use a word enough, it loses its meaning. Like "passion." We use passion a lot in corporate jargon or company culture "rah rah" blog posts or conferences. If you're truly passionate about your work - great! That said, I think it may be fair that we overuse the word. This video below explains it more eloquently than I could. What do you think? Has "passion" lost its meaning? 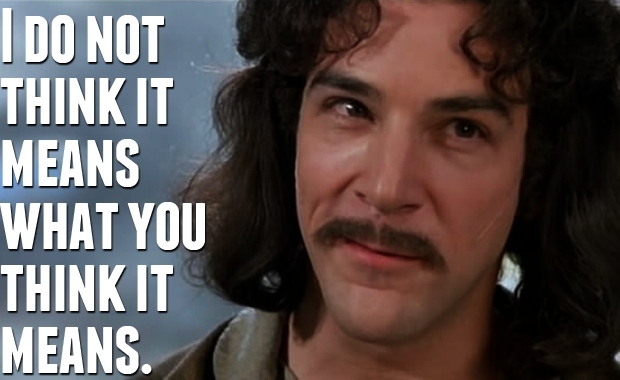 What would Inigo Montoya say?